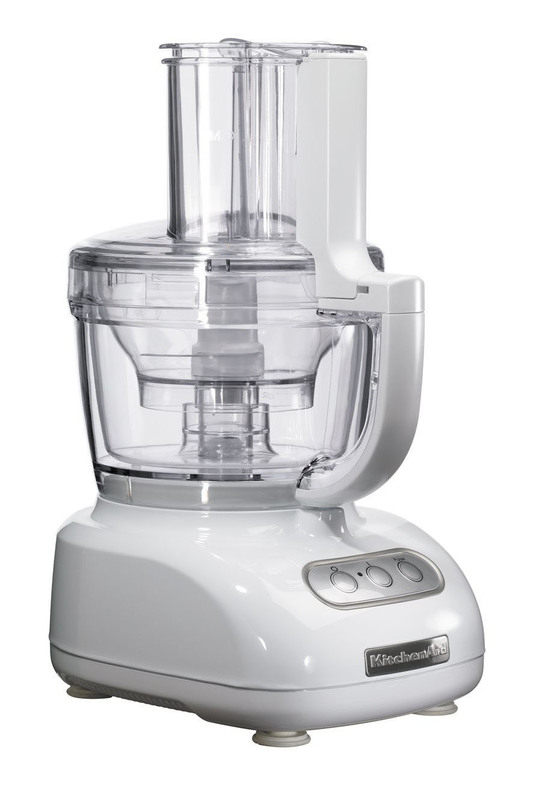 The KitchenAid 5KFPM771BWH Artisan food processor is a versatile kitchen appliance perfect for any home. The white die-cast metal construction adds to the model's durability and robustness, whilst a touch control pad allows for a user friendly experience. The dual tubes with wide and narrow dimensions allow for easy feeding of food into the model. Featuring a 2.8L bowl and 1 speed plus a pulse mode the KitchenAid Artisan 5KFPM771BWH will aid you in all manner of forms.